After many years of research and pondering, I am drawn to the conclusion that the Nephilim - at least in biblical terms - are the earthly offspring of the mixed parentage of human women and the "Watchers." 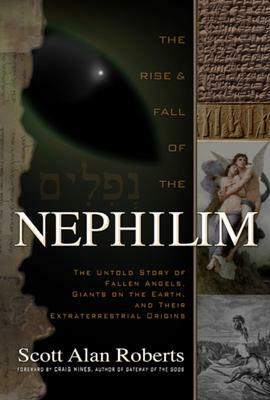 However, the term "Nephilim" is confused with the Watchers, in that it is defined as "those who fell; those who descended; those who came down." It is the Watchers mentioned in Enoch who did the actual descending, or "leaving" their first estate. And you are correct - neither the Watchers nor the Nephilim were angels. I have concluded that the Watchers were members of the "Divine Council," as mentioned in Psalm 82 and other places throughout the Old Testament. They neither "fell," nor were they kicked out of Heaven. They were appointed to "watch over" mankind, then became embroiled with human women, bequeathing the Nephilim. The crime of the Watchers was their teaching of forbidden knowledges to humans, and interbreeding with human women. For that, they were "locked in chains" to await judgment. According to Enoch, the spirits of the Nephilim who died in the great deluge were forever bound to the earth, and it is the spirits of the Nephilim that became what we now understand to be the demonic caste. So, yes, the Nephilim are still here on the earth today. As for the "alien connection..." it's a stretch for me to go that far, but I suppose it could all hinge on ancient mankind's perceptions of what they experienced. The Book of Enoch says that the "spirits" of these Nephilim would "haunt" - terrorize - humanity for all time. Well it states that the offspring of said "watchers" were soulless,so we know that they are not roaming the earth. Does it state anywhere that these watchers had "souls/spirits"? I heard the radio interview for the book 2/19/2012. It was outstanding. I'm so glad to hear more and more people giving this more attention. The show Ancient Aliens on the history station has brought this up. I'm so glad that you wrote this book I will be purchasing it. Before this happened --the bible states and read carefully--that the nephilim were already on the earth. ALSO THE BIBLE SAYS THE NEPHILIM WERE HERE BEFORE THE FLOOD AND AFTER THE FLOOD--READ IT!! !THE NEPHILIM IS HERE RIGHT NOW ''SATAN'S KINGDOM''-BUT they do not want us to know or find them out. GOD IS VERY FAIR AND THE PEOPLE WERE BEING DESTROYED AND NEEDED HELP, so that is when the babies who were super strong from GOD'S sons battled against the evil--MEN OF RENOWN MEN OF LEGEND. THIS IS NOT BAD IT IS A STATEMENT OF GOOD..read your bible very carefully and first ask the HOLY SPIRIT to guide you to the truth--you will see for yourself. THE NEPHILIM WERE HERE BEFORE THE FLOOD AND AFTER THE FLOOD! MUCH MORE RESEARCH NEEDS TO BE DONE ON THIS MATTER. AND IT WILL BE.